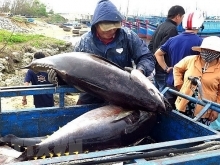 (VEN) - At an inspection tour of the Central Steering Committee of the Buy Vietnamese Goods campaign and the Party Committee of the Central Business Club, many corporations and groups said they would choose the Vietnamese goods after procurements due to the good quality and competitive prices. Secretary of the Party Committee of the Vietnam National Petroleum Group (Petrolimex) Bui Ngoc Thao said to build a project on human resources administration at enterprises (worth US$12 million), Petrolimex assigned the task to FPT Group which completed it after two years. One of the reasons that Petrolimex chose the FPT was due to its very competitive prices. With the same reason, now the transport service for Petrolimex is also conducted by domestic enterprises. Petrolimex was only one of enterprises of the Party Committee of the Central Business Club that decided to use domestic products and services after making comparisons with similar imports. 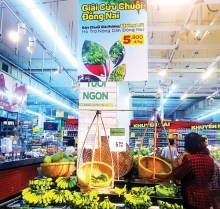 Taking advantage of the Buy Vietnamese Goods campaign, a large number of Vietnamese enterprises have taken initiatives in investment in technologies and production of high competitive products to meet the domestic demand. Until now, a wide range of domestically-made products like textiles, confectionery, tobacco, coffee, foodstuff, car tires and motorcycle insurance services have step by step met the majority of domestic consumers’ needs. Some products even have higher quality than the imports and have gradually dominated the local market. 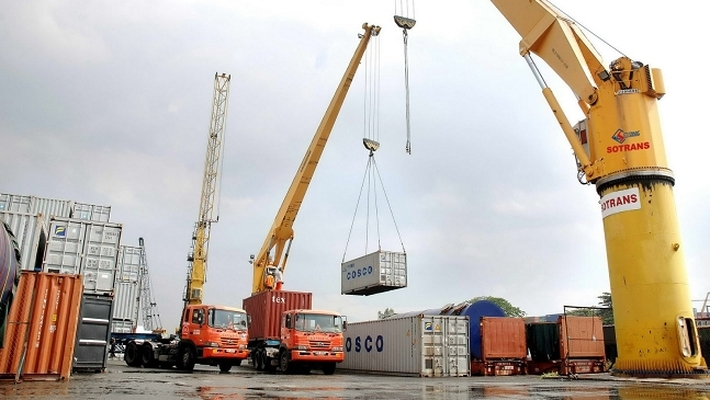 So far, many projects previously implemented by foreign companies now have been under operation of Vietnamese enterprises which have mastered technologies, capital, construction and installation. For example, the PetroVietnam successfully manufactured and launched the jack-up drilling rig Tam Dao 03 weighing 12,000 tonnes; the Vietnam National Chemical Group has constructed the Ha Bac and Ninh Binh nitrogenous fertilizer production plants with large output, competitive prices and high quality. They have not only occupied the domestic market but also reached out to the regional market. The Vice Party committee secretary of the Vietnam National Coal and Mineral Industries Group (Vinacomin) Nguyen Dinh Duc said previously, the equipment used for exploiting coal were mainly imported, but now the group has taken initiatives in research and production of these equipment to provide to its member companies. So far, many products have been successfully made in Vietnam such as the excavator VMC E500-1; the mobile hydraulic frame GK1600/1.6/2.4HT with the same quality but sale prices are only 70 percent of the imports. Therefore, these machines have been used in many enterprises of Vinacomin. Sharing opinions about solutions of the Party Committee of the Central Business Club in the coming time, Bui Van Cuong, the Secretary of the Party Committee of the Central Business Club said to promote the leading role in the implementation of the Buy Vietnamese Goods campaign and the policy “enterprises and banks in the club prioritize using each other’s product and services”, in the coming time the enterprises in the club will boost coordination and joint-ventures and prioritize using goods of high quality and competitiveness. They will also intensify investment to produce good products that can meet higher demand of the domestic market and export, making contributions to the country’s economic development./.